Beyond its intrinsic beauty and usefulness, the motion of living cells is a puzzle to the physicist. How does a cell harness its internal mess of proteins under strong thermal fluctuations to effect useful work? Do these processes teach us fundamental things about how matter functions out of equilibrium? We discuss these questions over a spectrum of length and time scales, from individual proteins to living tissues. 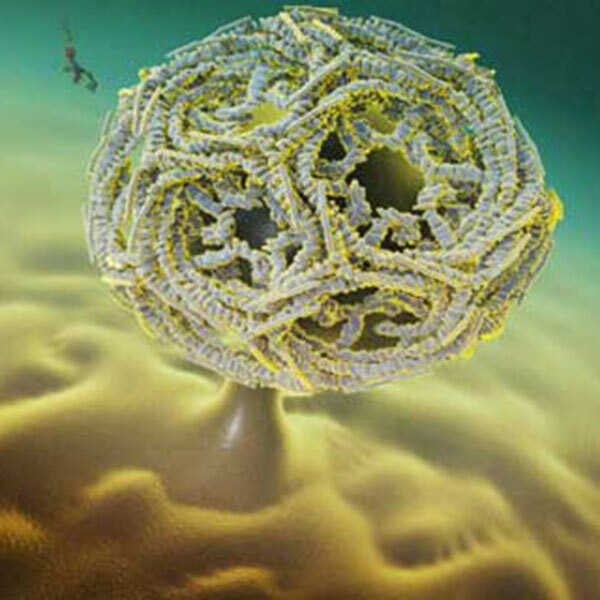 While the nanometer-scale components of these systems, as well as their large-scale behaviors, are well characterized experimentally, the connection between the two levels is far from understood. This course discusses this relation through the prism of statistical mechanics, and takes the students to some state-of-the-art questions in the field. C. P. Broedersz and F. C. MacKintosh. Modelling semiflexible polymer networks. Rev. Mod. Phys., 86, 995 (2014). J. Prost, F. Jülicher & J.-F. Joanny. Active gel physics. Nat. Phys., 11(2), 111 (2015).